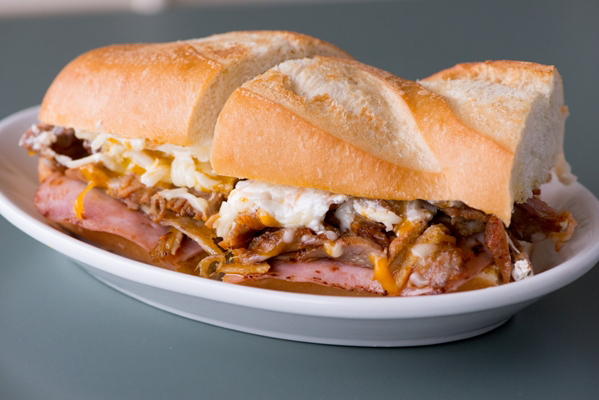 Our Cuban Sandwich is another Memphis favorite. Pork leg, Pasto, Ham, and Cheese served on a white hoagie with onion, jalapeno peppers, tomatoes, avocado, a thin layer of sour cream, and refried beans. Is your mouth watering yet? Stop by one of our three Memphis locations and try one today.